Supertyphoon Yolanda struck the Visayan Islands with unprecedented ferocity, so much so that the international weather bureaus don’t even have a category for it. The typhoon left a trail of devastation so extreme that even it paralyzed the government and rendered the most experienced rescue workers shocked beyond their wits. The damage was so horrific that it wiped towns, villages, and cities off the face of the earth. But super calamity also bought the best of humanity. The world responded. Our own armed forces, humanitarian organizations, and rescue specialists risked their own lives and fought their way to reach the devastated areas to help survivors. Armed forces, rescue workers, doctors, and specialists from the US, UK, Japan, Israel, Norway, Japan, and many other nations arrived in a flood to provide relief, rescue, and medical services. We’ve seen dozens of gigantic transport planes, both civilian and military, carrying thousands of tons of relief goods, medical supplies, mobile hospitals, generators, portable shelters, and other relief equipment. We’ve seen an aircraft carrier group, destroyers, cruisers, and other warships racing towards the Philippines not to wage war but to use every bit of technology in them to help people survive. And that’s not all. Hearing the plight of their fellow humankind (notice I didn’t say fellow Filipinos), the civilian sector banded together. Companies and organizations donated millions in cash to boost the relief efforts. 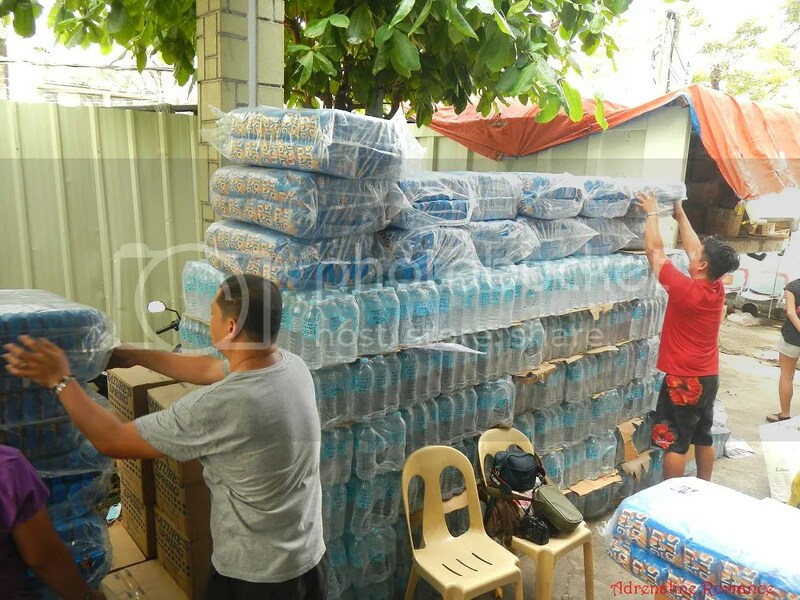 Shipping firms, airlines, logistics firms, and freight businesses lowered their prices or offered free services for the transport of relief goods, equipment, and personnel to affected areas. Rotary clubs, humanitarian organizations, associations, and groups of all kinds pooled all resources to contribute to the relief cause. 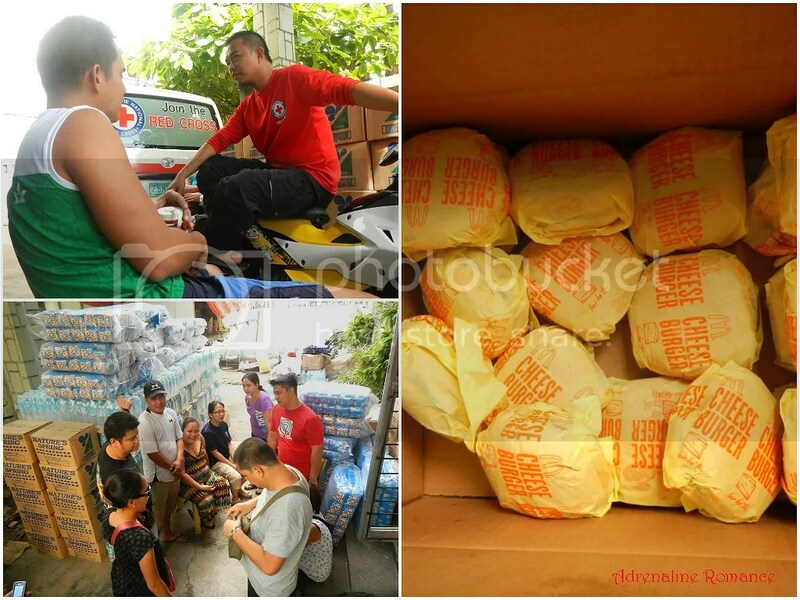 But it’s not only the bigwigs that moved heaven and earth to help affected Filipinos get back on their feet. Ordinary citizens are taking part of what is probably the biggest humanitarian endeavor in the history of the world. Students, employees, and people from all walks of life went to drop-off stations and tirelessly helped in repacking and loading relief goods. Supermarket shelves quickly ran out of goods and had to have new stocks every day; people bought them in bulk to donate them to the cause. Even children took part in the effort; we’ve seen news of kids donating their piggy-bank savings to the cause or selling lemonade so that the profits could be donated. Everyone used the power of social media to help other search for missing loved ones, report news and updates, invited friends for relief drives, and criticized the pitiful response of the national government (which, until now, remains in a state of shock, denial, and confusion). Now, Sheila and I are just tiny drops in this ocean of concerned, loving, helpful mass of humanity. However, we know even the smallest bit of assistance can save a precious life. 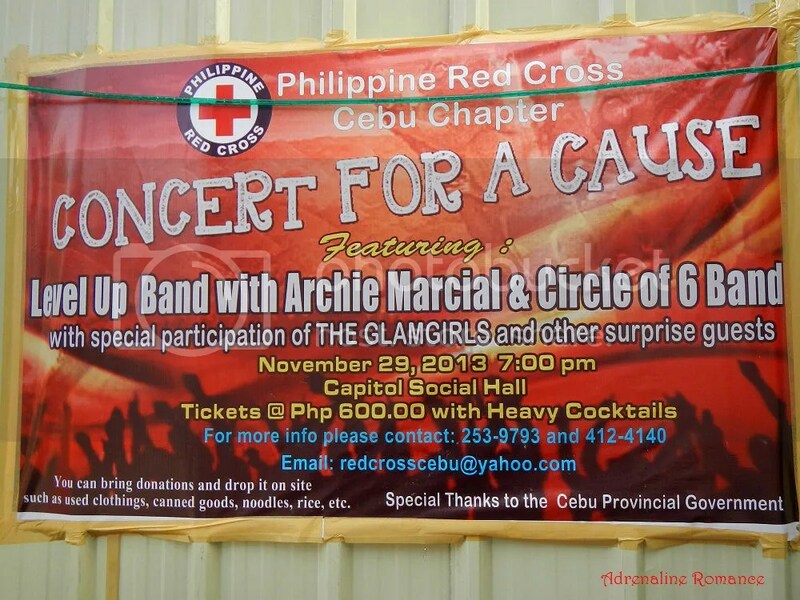 So, last Sunday, November 16, we volunteered to help in the Philippine Red Cross Cebu Chapter. 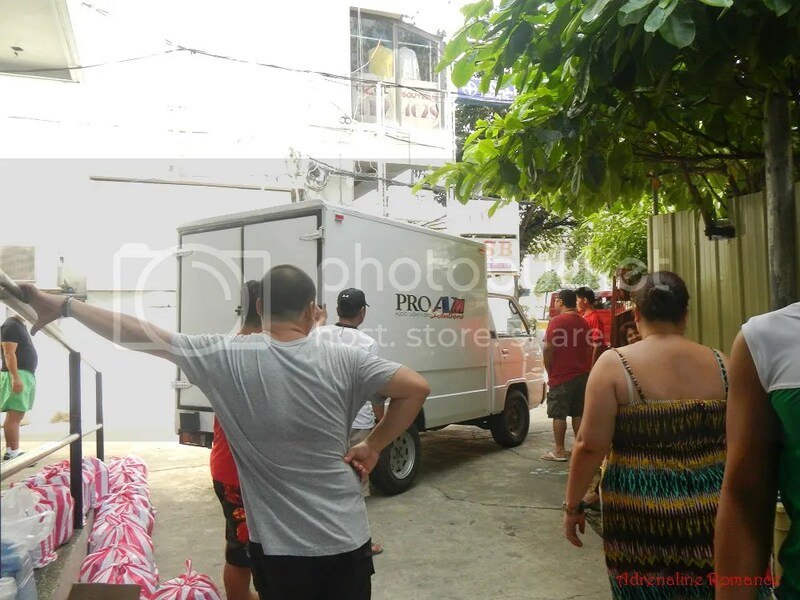 By the time we arrived at the Red Cross office in Cebu, there were already a number of volunteers. Blood is life. You can donate blood at the Red Cross. 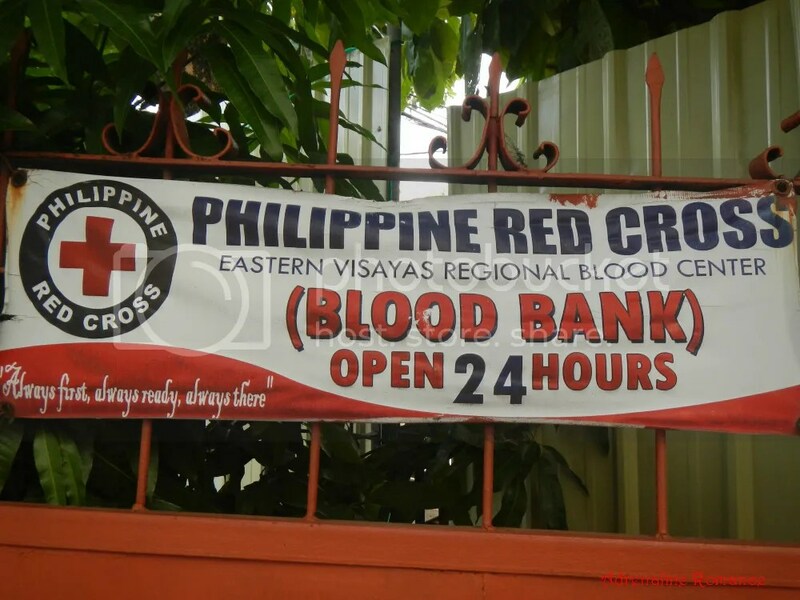 For the sake of privacy of the donors, we didn’t take photos of the bloodletting ward. 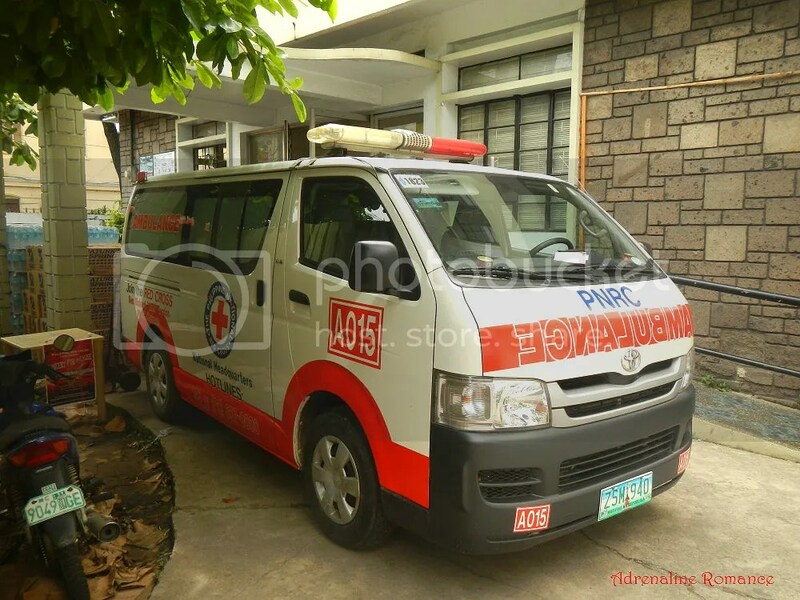 Sometimes, the Red Cross, along with other entities, organizes special events to generate much-needed money for relief goods, medical supplies, rescue equipment, and rehabilitation efforts. 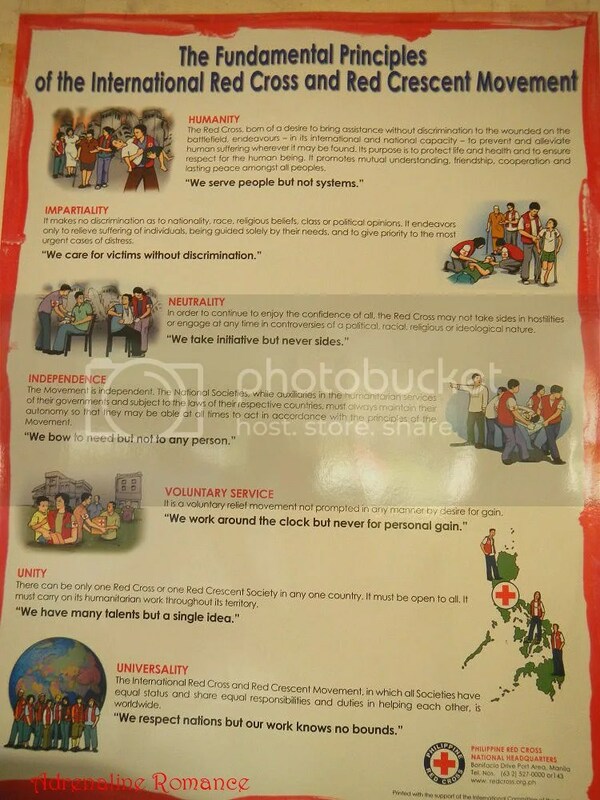 The Red Cross, together with the Red Crescent humanitarian movement, firmly follows a set of fundamental principles, all geared towards a single noble goal: to save lives. 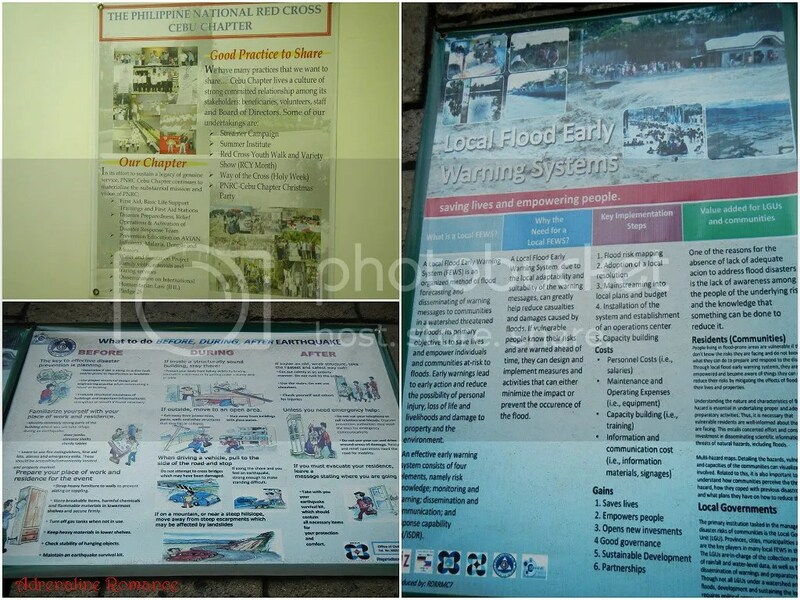 These posters are part of the Philippine Red Cross’s information drive to educate people about natural calamities that regularly occur in the Philippines and how to survive them. The more citizens know about these calamities and accidents, the more chances they will survive such disasters and mishaps. 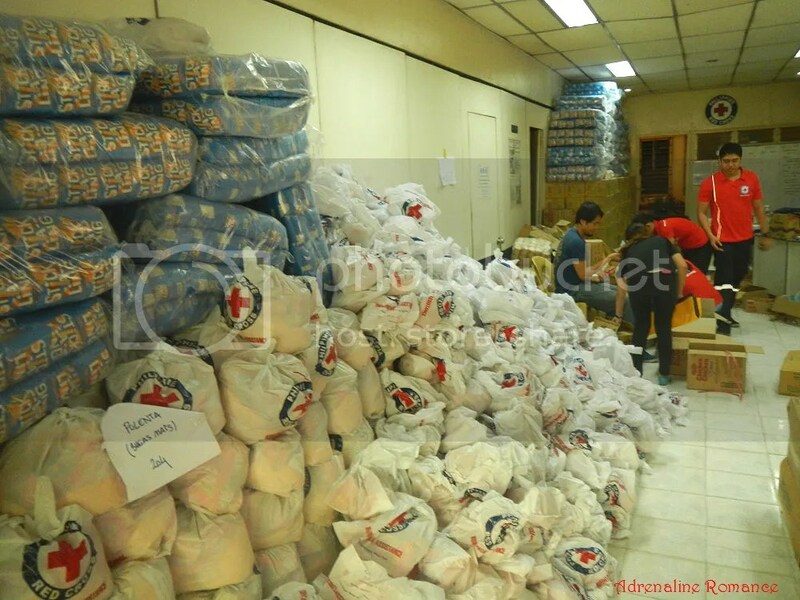 Bags of relief goods, packed by Red Cross staff and volunteers, were piled at the center, waiting to be distributed to the victims of Typhoon Yolanda. 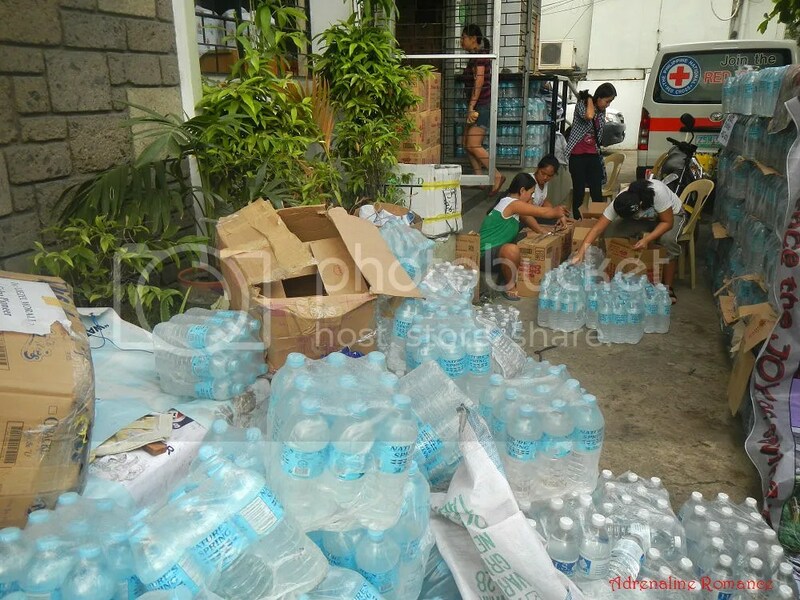 Bottled water, used clothing, and assorted donations fill up almost every inch of the Red Cross office’s hallway. They still need to be organized and packed. 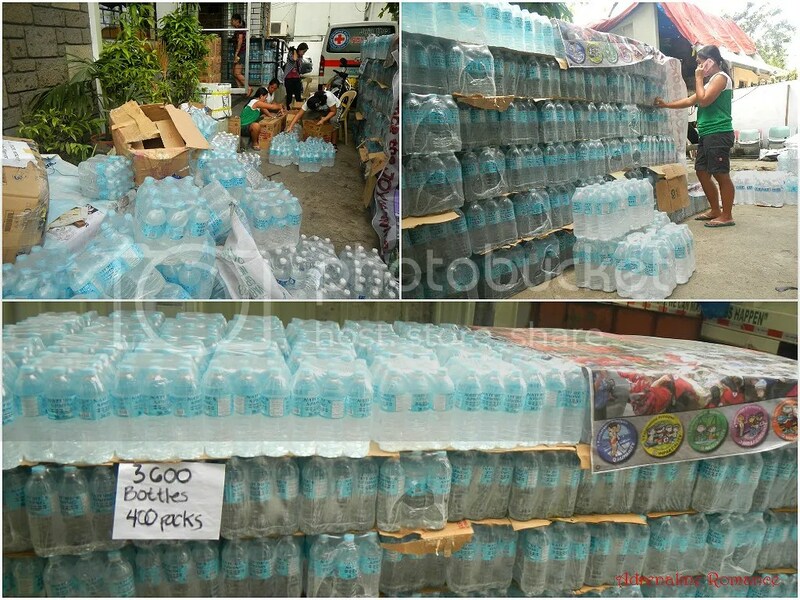 After registering ourselves as volunteers, we were given our first assignment: to organize the huge pile of bottled water donated by countless individuals. We were told to segregate the bottles by brand and volume and place them in boxes so that it would be easier for other volunteers to repack them together with other food items. 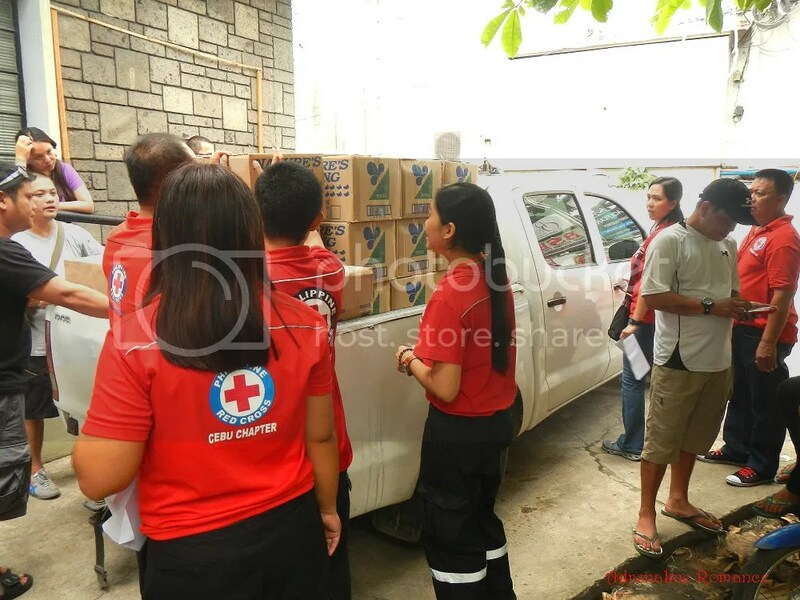 Sometime in the morning, a Red Cross pickup truck arrived. We loaded the bottled water that we packed earlier. 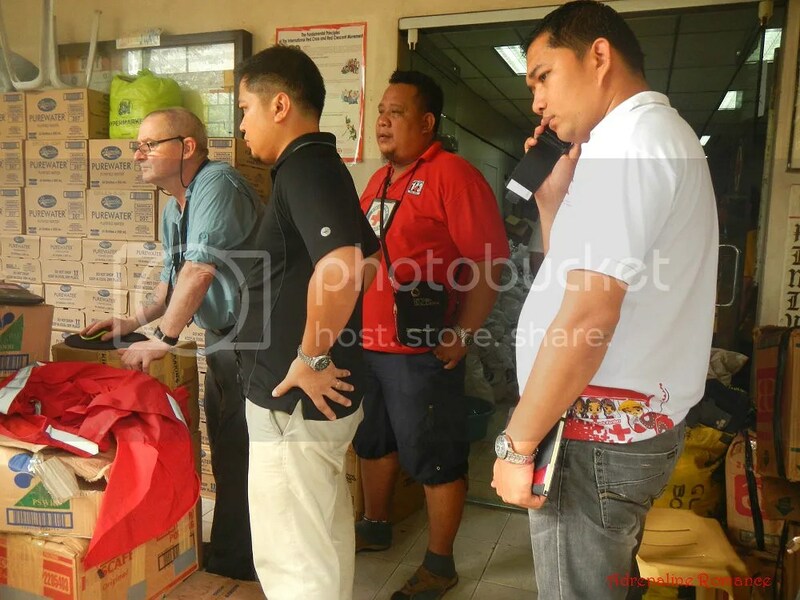 Red Cross personnel checked if the donated canned goods and noodles are still within their expiry dates. This is important because the Philippines don’t have a real, international-standard, specifically designed relief pack. Most, if not all of our “relief packs” contain donated commercial (supermarket) products. We were curious as to what these boxes contain. They were labeled in a language that we’re not familiar with. 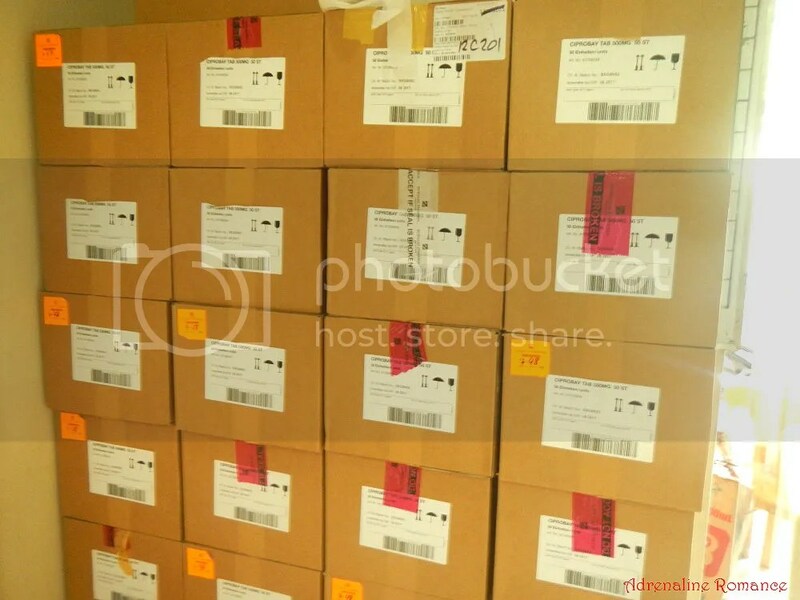 The boxes covered an entire wall. One of those boxes was open, so we took a peek inside to satisfy our curiosity. 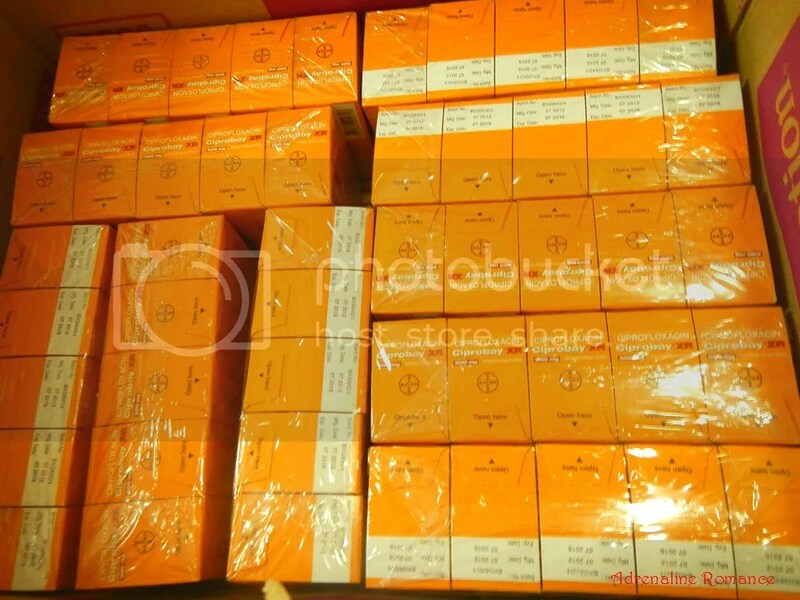 Each of these boxes contains smaller boxes of multivitamins that can provide typhoon victims much needed supplementary nutrients as well as improve the body’s resistance against diseases. The immensity of the disaster called for proper and thorough coordination in order to efficiently and quickly send relief goods to affected. 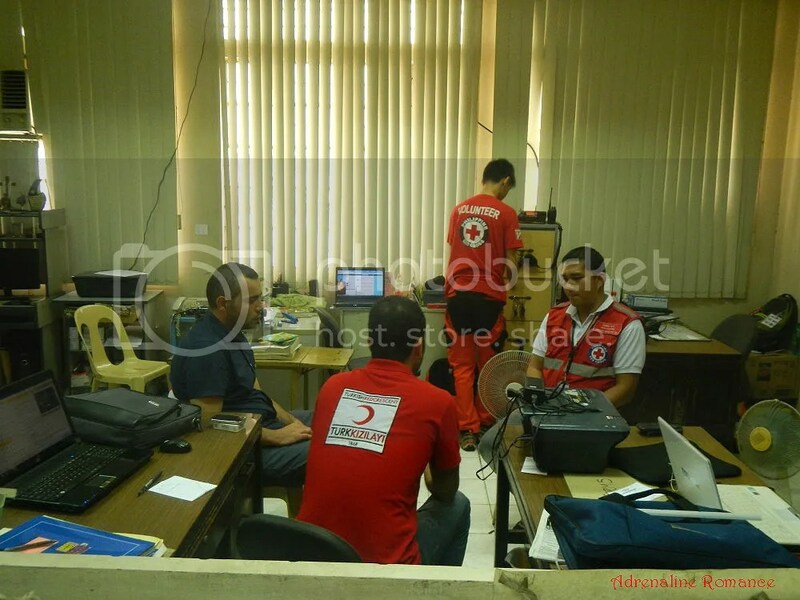 Here, Red Cross personnel engaged in a discussion regarding coordinating relief efforts in the northern part of Cebu. Red Cross personnel listened intently to various relief operation updates in Northern Cebu where most of their relief goods are distributed. We salute them all for all their hard work. No borders, just unity and a genuine willingness to help. 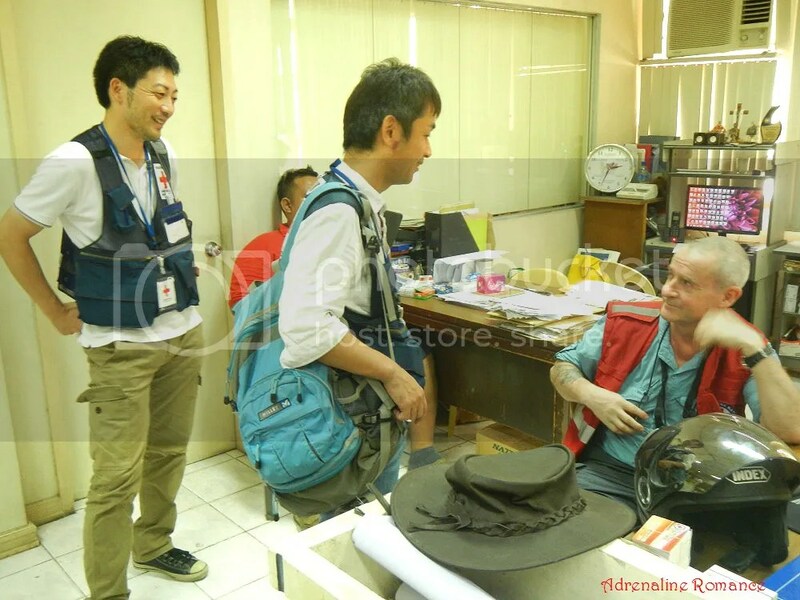 Japanese Red Cross specialists visited and coordinated with their British counterpart. After a short meeting, the Japanese guys were assigned to augment a medical mission in Daan Bantayan, a severely damaged municipality in Northern Cebu. We ran out of masking tape to seal the boxes. While waiting for some rolls of masking tape to arrive, we took a break. 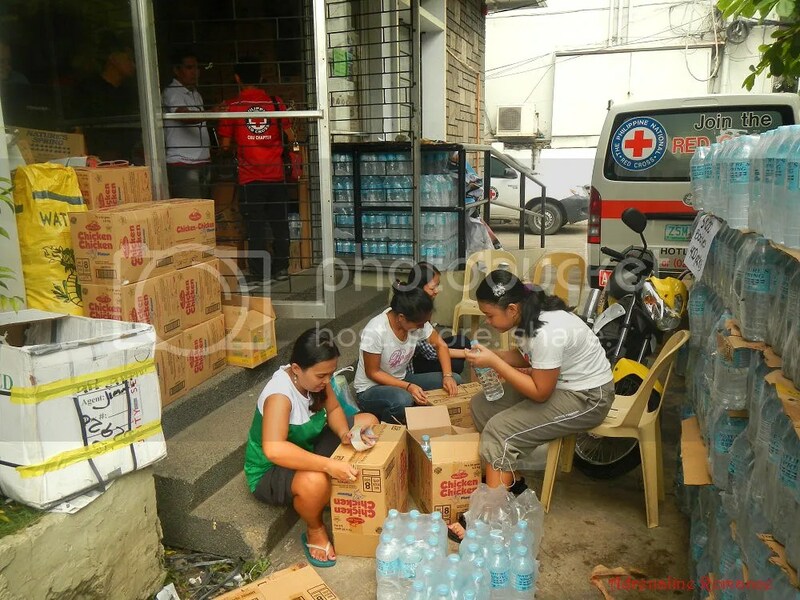 Red Cross personnel gave us cheeseburgers and told us to help ourselves with some fruit juice. While others caught up with chats, we talked with fellow rock climber and mountaineer Sir Jessie (who is also a Red Cross personnel) regarding our upcoming adventures. By the way, see the group of people on the lower left photo? 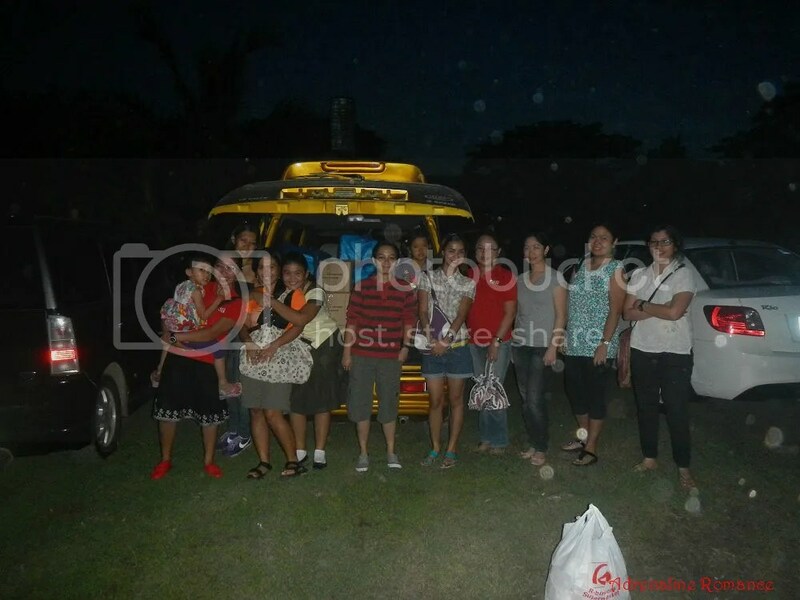 They were just local tourists visiting Cebu. They “aborted” their tour and volunteered to pack goods. Salute! A Red Cross ambulance pulled up while we were having a break. Along with ERUF, the police, and the fire department, the Red Cross is usually the first responder to accidents and disasters. After a quick lunch, we went on with our second task, which was assorting donated used clothing. This was quite fun because we need to sort out clothes according to gender (men or women’s clothes), ages (adult and child), and section (top or bottom). Sometimes, we had to ask each other, “Is this supposed to be a skirt?” or “Is this tank top for a small adult female? It looks like it’s for a child.” Some male volunteers, including me, were not really familiar with women’s clothes. We just scratch our heads and blush when we pick up clothes with plenty of straps or whose design defies imagination. After more than hour and plenty of dust, sweat, and heat, we finished sorting out the apparel. 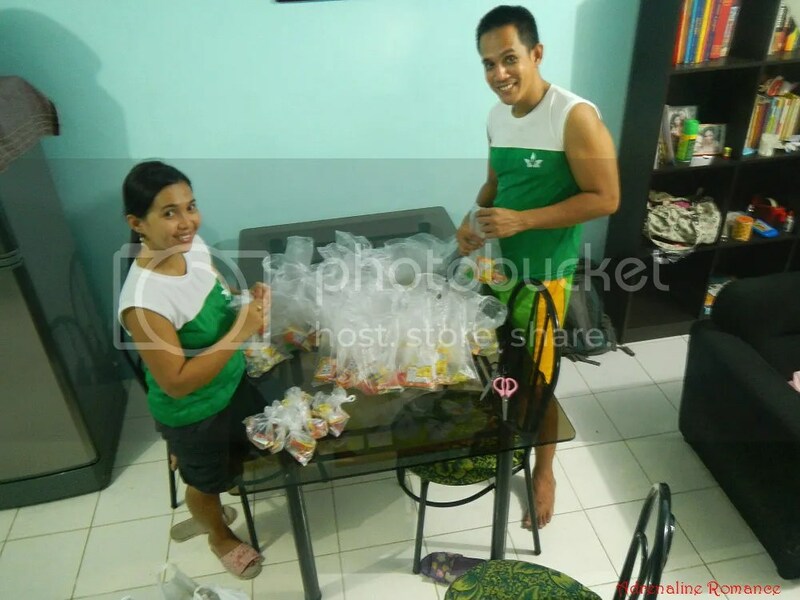 We placed them in sacks and labeled them so they can easily be distributed to the right people. Sometime in the afternoon, a logistics firm’s van rolled to the station to pick up relief goods. 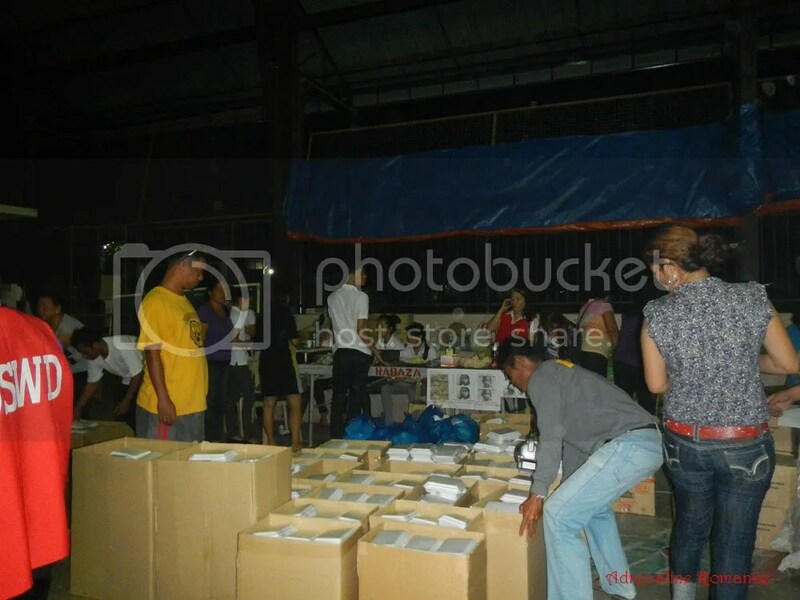 Many logistics firm joined the relief cause by offering their services for free or for a drastically discounted rate. 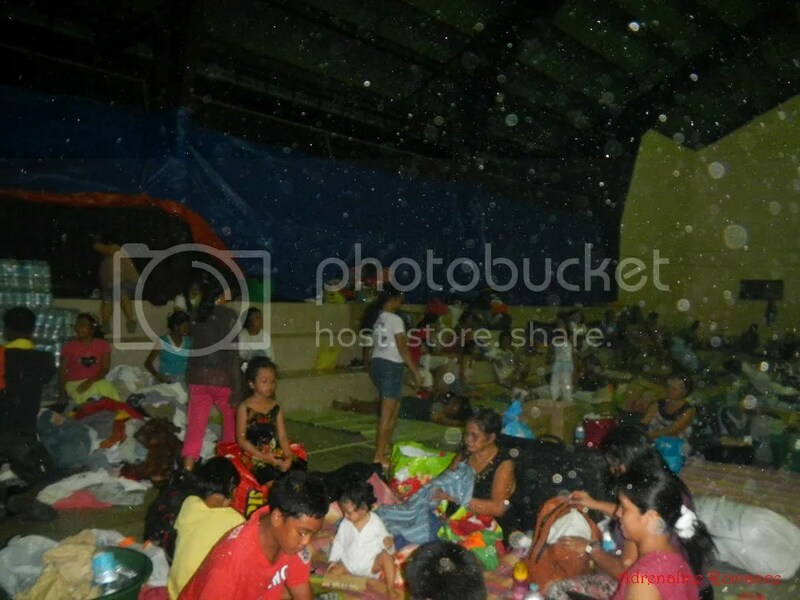 Bayanihan in action! Hand to hand, person to person, volunteers formed a human chain and helped load the van with relief goods. What a great workout! 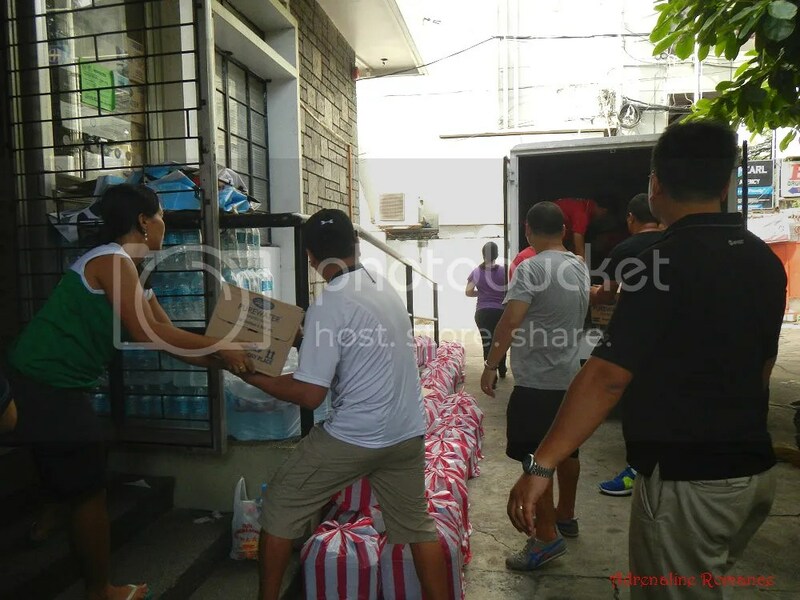 Volunteers were all smiles as they helped load donations from Monde Nissin. Knowing that you have, in some way, helped someone is definitely a reason to be happy. While we loaded the first van, these guys prepared some goods to be loaded on the next van. These young Kiwis were simply walking down Jones Avenue when they saw us. They immediately signed up as volunteers. In helping one another, there is no racial boundary. 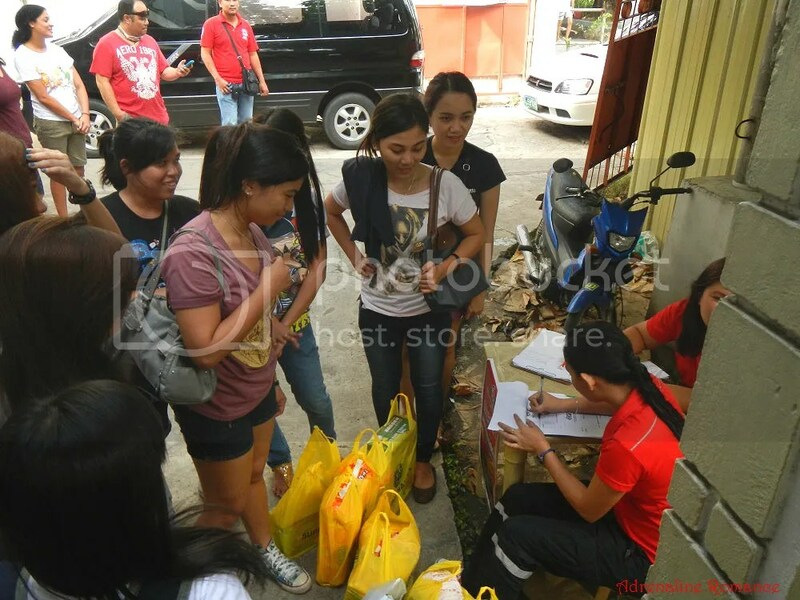 A group of college students dropped by to donate toiletries and hygiene kits. They may not have enough money like us—employees, working folks, and businessmen. But that didn’t hinder them from showing their own way of helping. 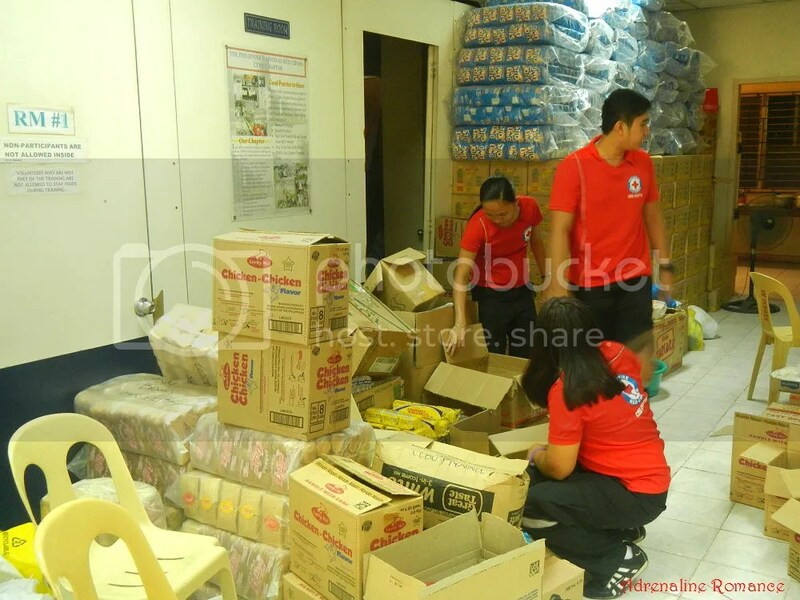 Earlier during the week, Sweetie and her colleagues were planning to have a feeding activity at the Mactan Air Base and Babag evacuation center in Lapu-Lapu City instead of having a Christmas party in December. We’re not forgetting children. Yes, we know they need to eat, but they also need something that can make them happy too. Alexa told us that she wanted to donate something to the kids. We beamed brightly and agreed with no hesitation; as our friend Terai said, a child who shows interest in helping others must have been brought up right by the parents. Thus, we shopped for yummy candies and sorted them when we reached home. We were able to fill up a hundred plus loot bags. Mama and Daddy were merely helping. We’re definitely supportive of Alexa’s mission. Hehe! 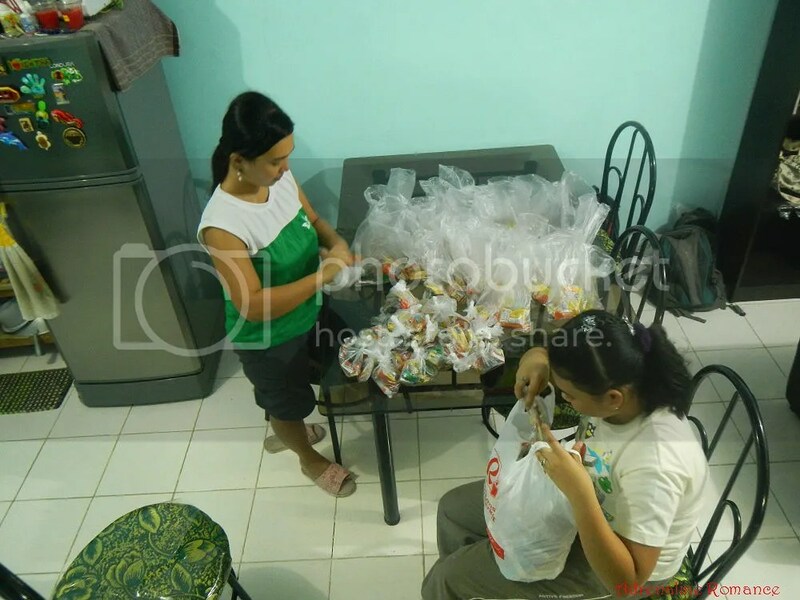 Alexa said she was going to personally distribute the loot bags to children in evacuation centers. Cool and very noble for a 11-year old girl. Actually, we were worried that 100-plus loot bags won’t be enough. The next day, Sweetie’s group converged at MEPZ 2, ready to commence their feeding activity. 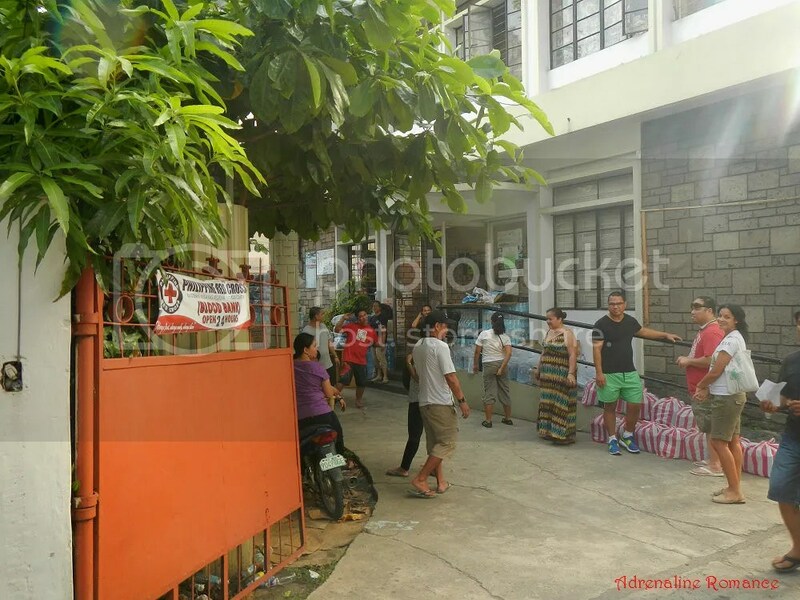 A short while later, the group arrived at Babag Gym, one of the facilities that temporarily houses evacuees from Tacloban, one of the most severely damaged cities in Leyte. The ladies had a van full of food packs. Our pretty ladies were eager to share happiness and love. Tacloban has been dubbed as Ground Zero after ST Yolanda leveled nearly the entire city. 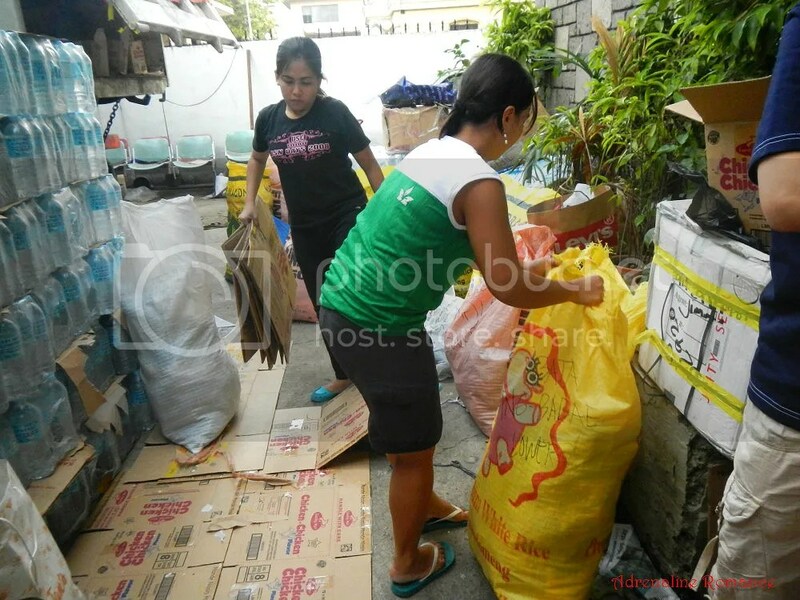 To find food, water, and shelter and to keep themselves safe from the breakdown of law and order in the devastated city, many residents fled to Cebu. 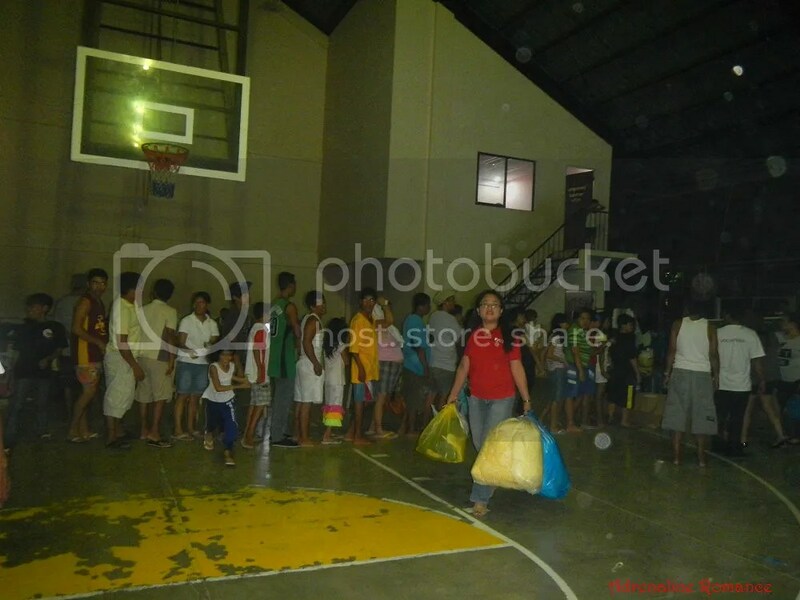 The Cebu local government housed them in indoor gyms, stadiums, high schools, and activity centers, converting such facilities into evacuation centers. 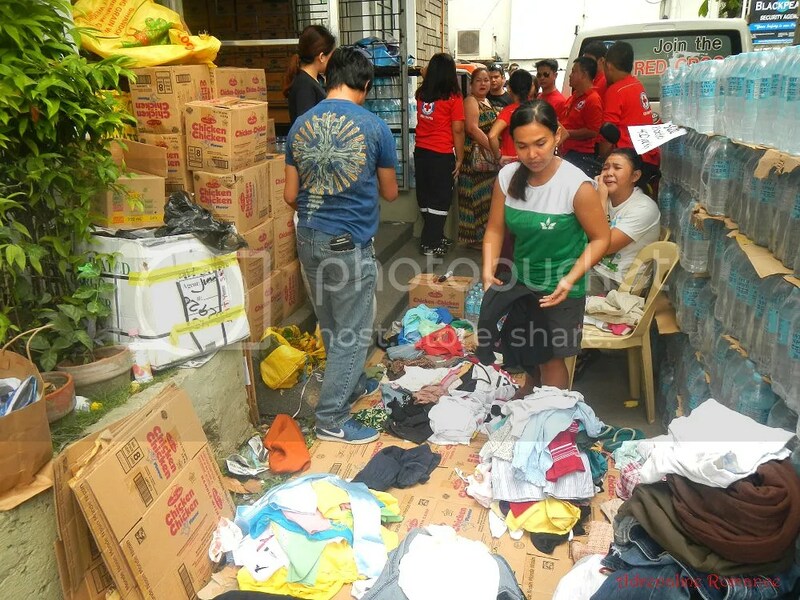 Kindhearted individuals then donate items—food, relief goods, medicine, used clothing, etc.—to the evacuees. While food nourishes the body, wholesome interaction, genuine care, understanding, and a lot of smiles nourish the soul. Sweetie’s fellow editors talked to some of the evacuees and listened to their harrowing tales. 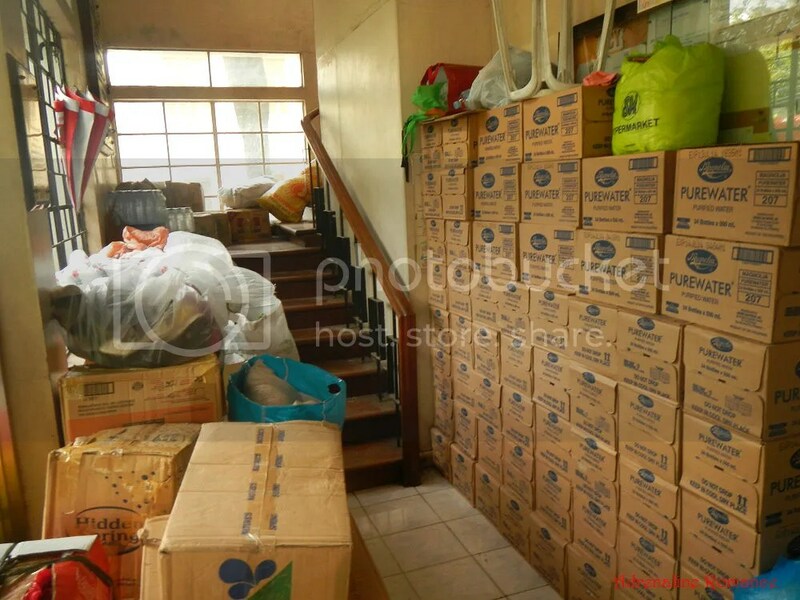 These are just some of the many, many food packs available for distribution. 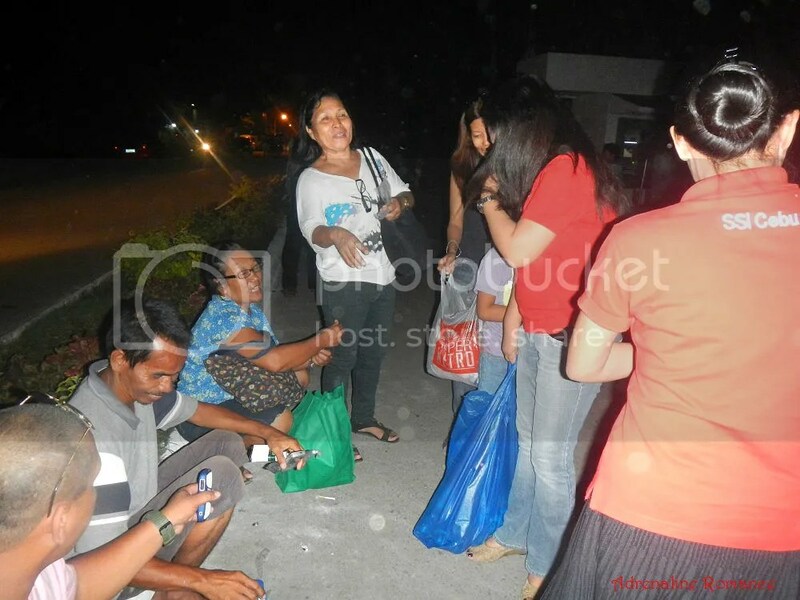 Cebuanos really know how to take care of their fellow Visayans. People started to line up for their dinner. Amy, Sweetie’s teammate, donated used clothing, pillows, and kitchenware. 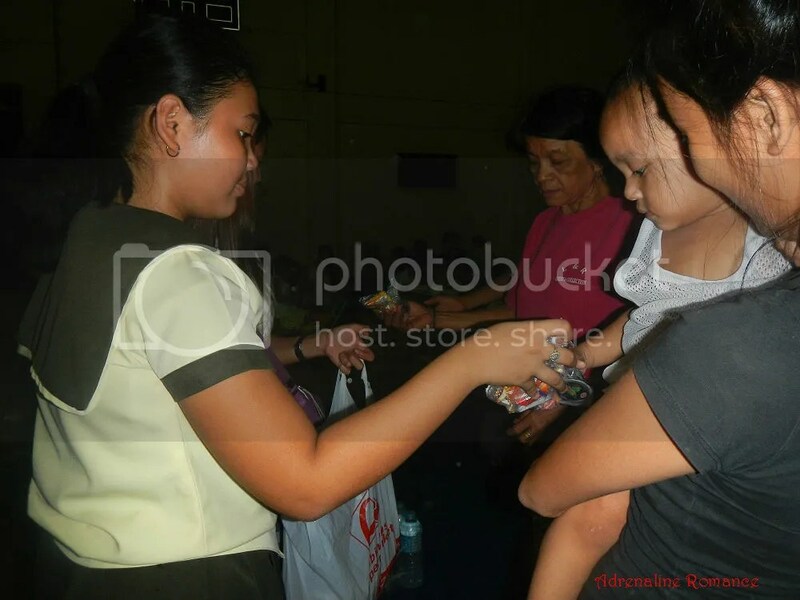 Meanwhile, Jody and the others distributed food packs to other evacuees. Children get their own treats sweet treats from Alexa. Don’t ever think that your help is too small just because you are not a doctor, first responder, rescue specialist, etc. No amount of help is too small. The little food and money you shared can save a life. 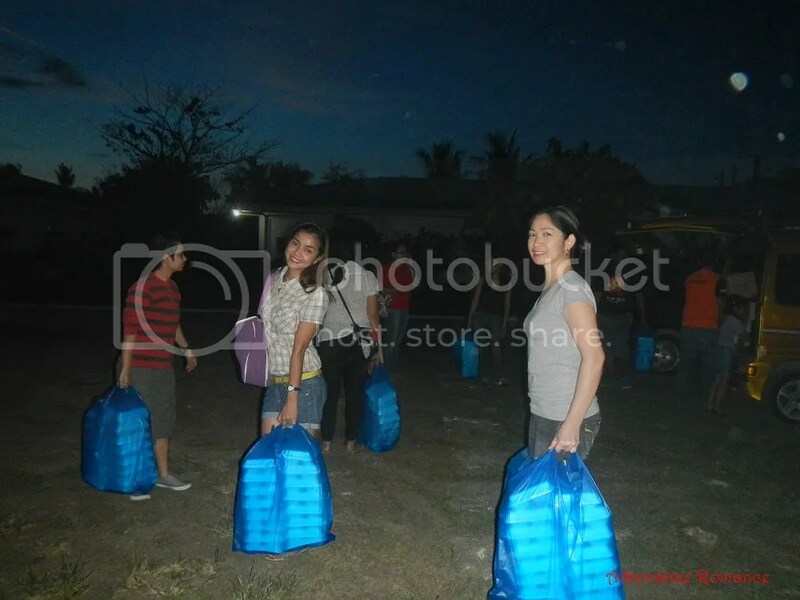 The relief goods that you packed could nourish a body. The candies that you give to a child can bring a smile to his or her face. May God bless the donors, volunteers, survivors, and those who passed away. May God guide the politicians to do the right thing (not to be greedy and corrupt and not steal the donations 😦 ). May God continue to bless the Philippines and its people. Thank you! This is just our own small way of contributing to this noble cause. It is people like yourselves who contribute in “small ways” that make big things happen.